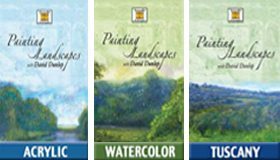 Using techniques of the old masters as well as contemporary methods, David Dunlop brings you a wealth of information, demonstrations, encouragement, tips, and insights in this approximately 2-hour DVDs. 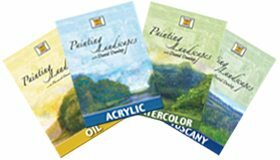 Learn new methods to dramatically improve your eye, your composition, painting techniques and your landscapes. 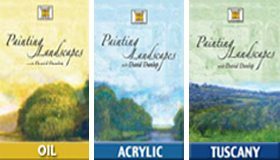 David begins in his studio and diagrams several master paintings. 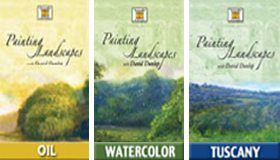 He then takes you to various locations in Connecticut where he diagrams the scene and completes a plein air painting. 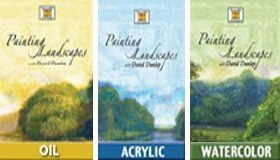 He returns to his studio to demonstrate several finishing techniques which could be applied to a painting.